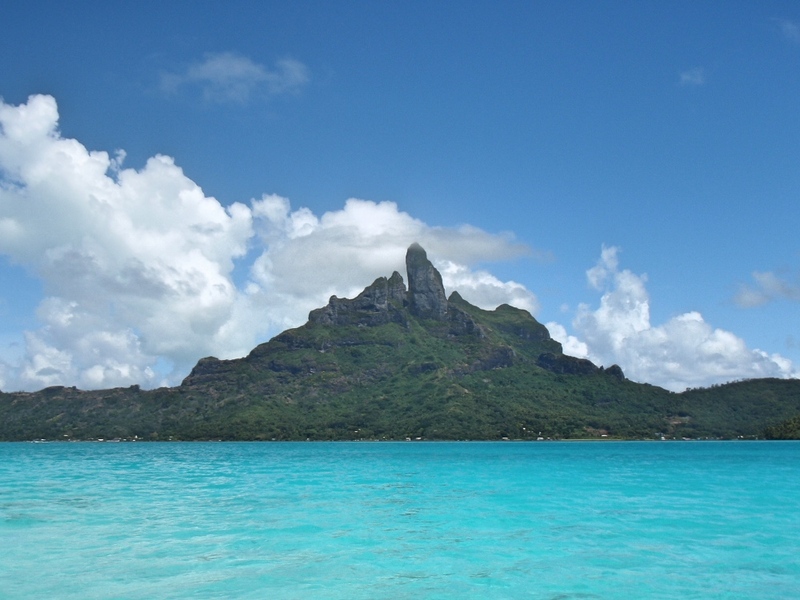 If there was one thing I knew for sure as a little girl, it was that my honeymoon would be in Bora Bora. 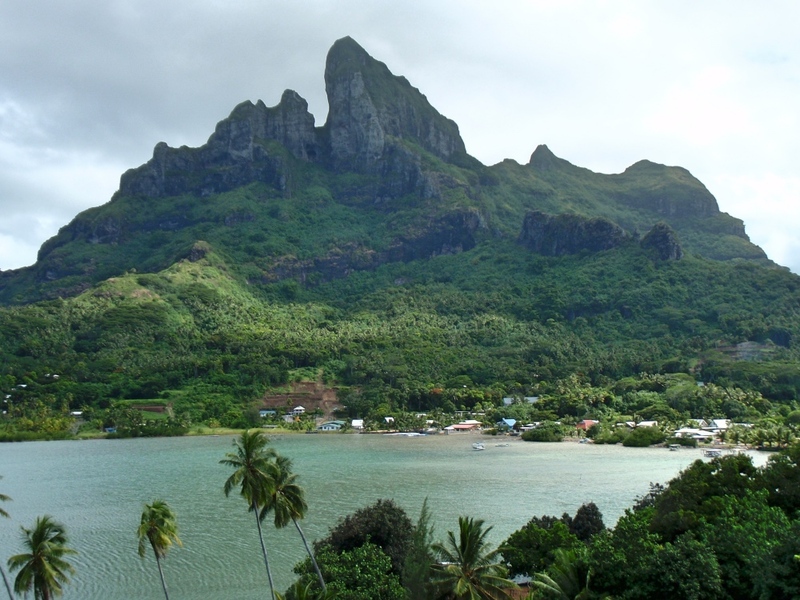 Maybe it had something to do with being French, as most French people consider French Polynesia a distant paradise. With its stunning, crystal clear waters, beautiful beaches, palm trees and iconic overwater bungalows, it sure looks like paradise on earth. But it is so far away and so expensive that for many it remains just a dream. After Simon proposed, I wasn’t interested in a huge wedding, a fancy bridal car or a very expensive wedding dress. Why have an expensive wedding when you can have the perfect honeymoon instead? 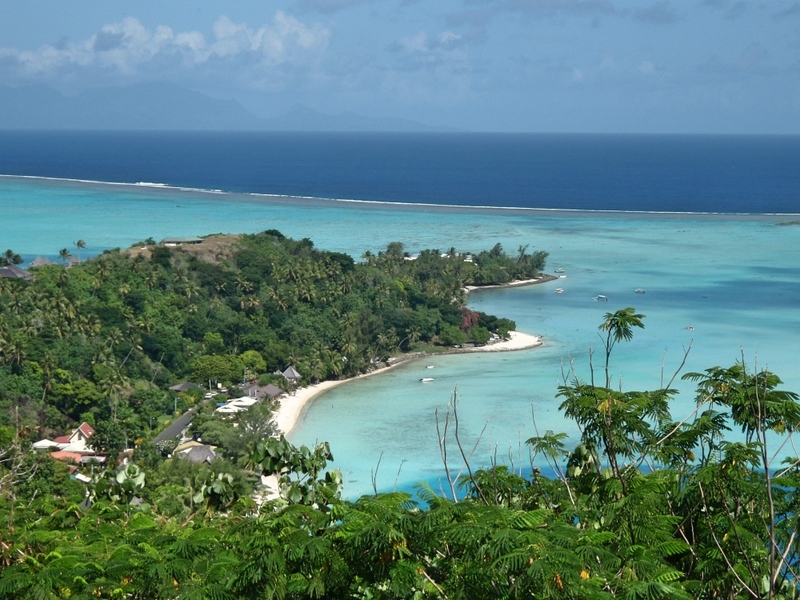 Living in Melbourne, French Polynesia was a lot closer and it seemed easier to get there. 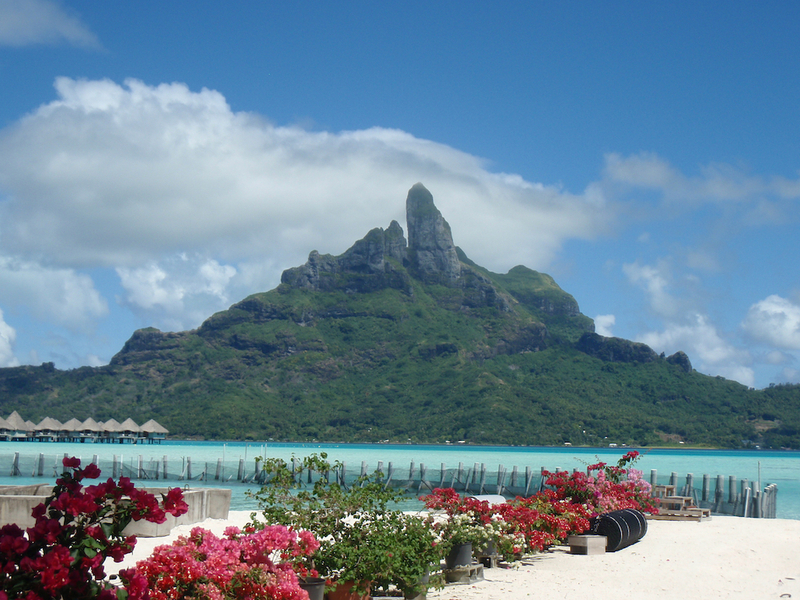 Still, when I first raised Bora Bora as an option and we checked out prices, we were quite disheartened. Although the flights were cheaper and shorter, the accommodation was still oh so expensive. But I wouldn’t give up. It was my childhood dream and I would not settle for anything less. With hours of research and quite a few emails back and forth to a couple of competing travel agents, we managed to get the price down a bit. It was still expensive, but with no mortgage or kids as yet we decided it would be a once in a lifetime experience; so we went ahead and booked it! 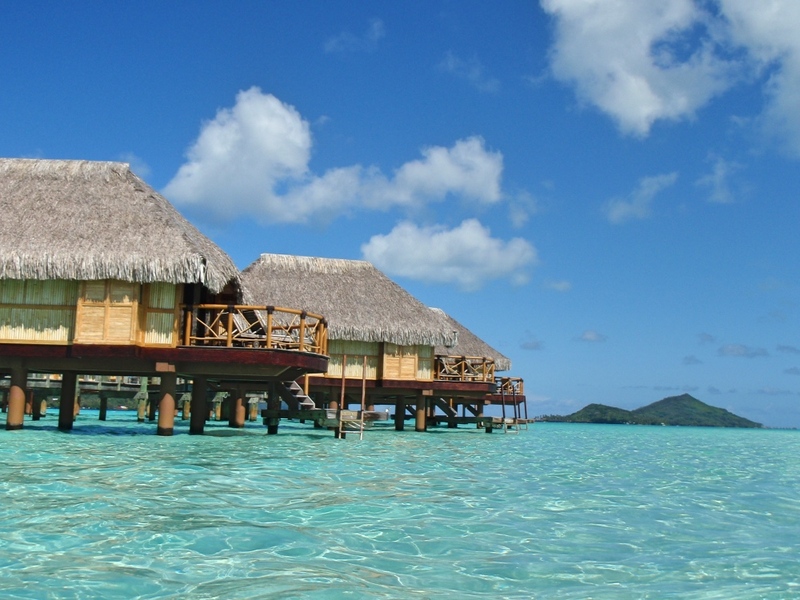 The overwater bungalows of the Bora Bora Pearl Beach Resort. 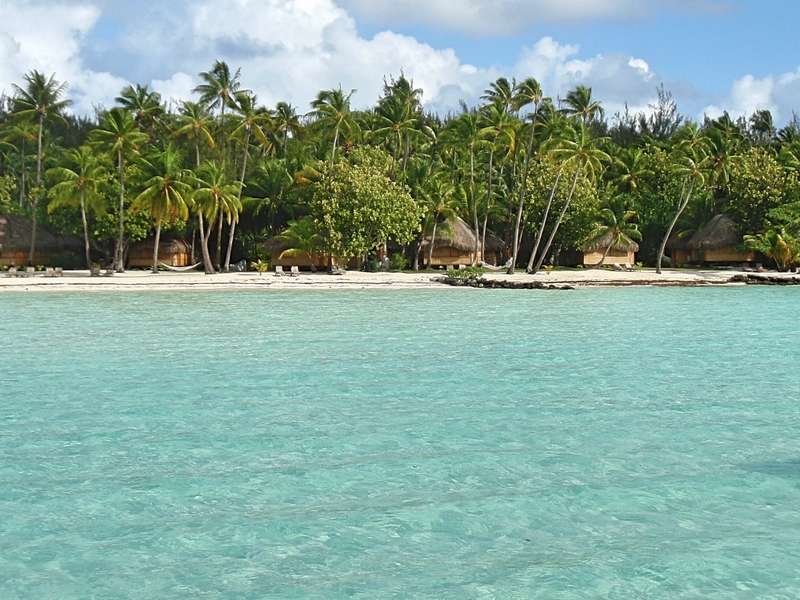 We couldn’t afford to spend our honeymoon entirely on Bora Bora, so we also spend some of it on Moorea which is quite a bit cheaper. 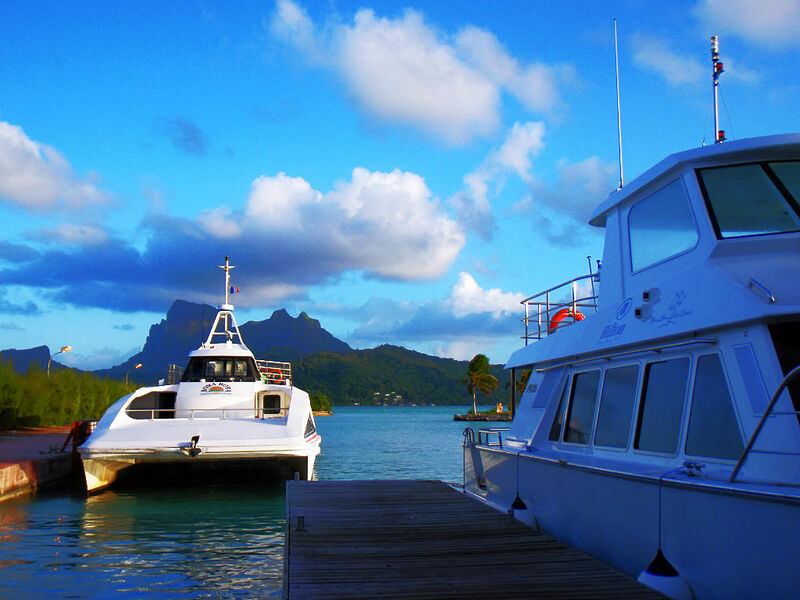 But as beautiful as Moorea is, Bora Bora was truly the icing on the cake. As we flew over the island we were in awe of the beautiful landscape and the colours of the ocean down below. It looked just like in the travel magazines but even better! Even the tiny airport we arrived into felt exotic. The airport is located on a small islet and you need to catch a boat to get to your resort. We chose the Bora Bora Pearl Beach Resort, mainly because it was more affordable than the other five star resorts on Bora Bora, but also because of the spectacular vistas it had. 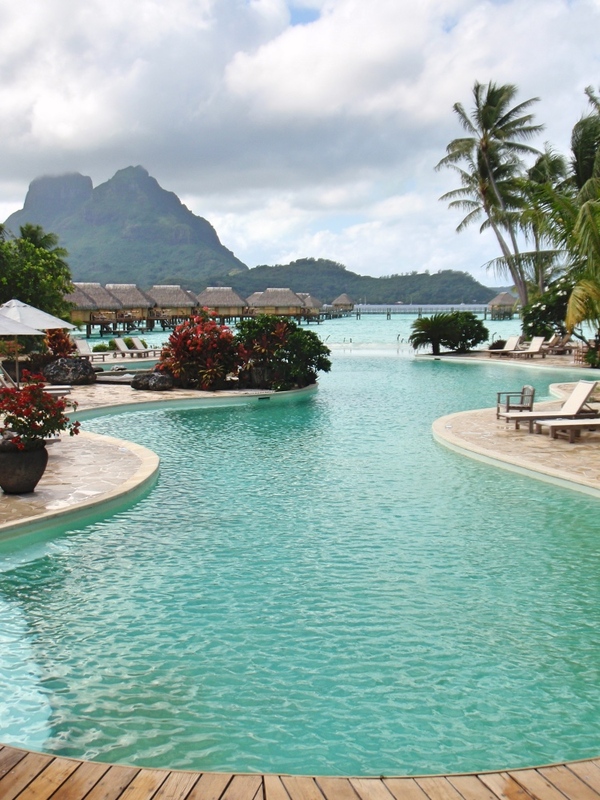 View from the infinity pool of the Bora Bora Pearl Beach Resort! As we collected our bags at the airport, someone from the resort was waiting to greet us with a floral lei. They directed us to the speed boat which would take us to paradise for the next four days. Built on a private island, the Bora Bora Pearl Beach Resort has breathtaking views over Mount Otemanu, the striking mountain that dominates Bora Bora’s main island. As soon as we arrived we were greeted with a cocktail and we knew that we had arrived in heaven. The resort is amazing! It has beautiful grounds, stunning beaches with white coral sand, and a big infinity pool overlooking the overwater bungalows, the lagoon and Mount Otemanu. 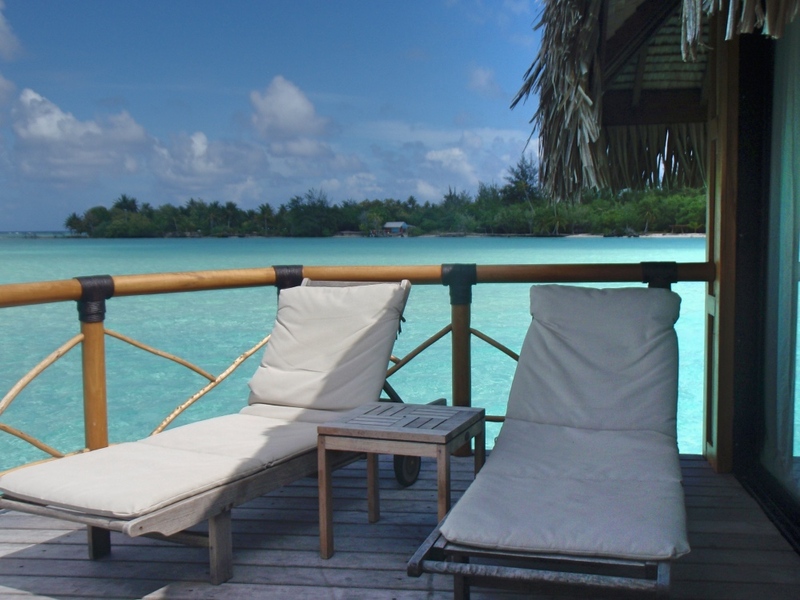 We had booked an overwater bungalow which gave us an unobstructed view of the crystal clear lagoon and Mount Otemanu. Being able to go down a ladder from your bungalow straight into the beautiful blue water was just spectacular. As we entered our room, we couldn’t stop smiling. It had a typical French Polynesian decor and a glass coffee table through which we could see schools of fish swimming beneath us. It was simply incredible! The lagoon was so blue that it looked like a giant swimming pool. The deck of the bungalow also had an outdoor shower for rinsing yourself after swimming. So thoughtful! We knew that it would be very hard to leave this resort when the time came. Our private deck with direct lagoon access. Down the ladder to the incredible lagoon! The restaurant at the Pearl Beach Resort had excellent quality food and very attentive staff. It served stylish Polynesian and French cuisine; we had a lovely meal every time. Because dinner was included in our package, we ate at the resort every night and we were never disappointed. The wine list was also full of fabulous French wines which we loved trying out! Our package also included a full buffet breakfast including gorgeous French pastries and delicious tropical fruits. 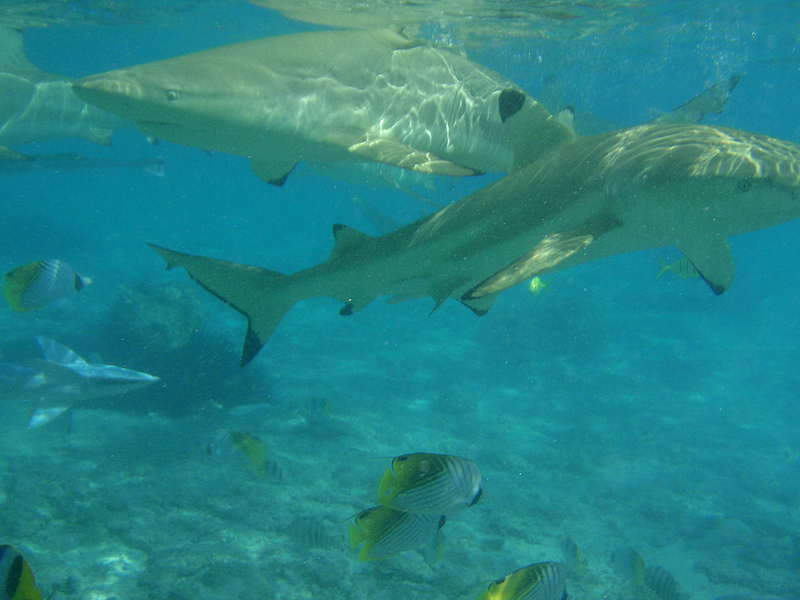 One thing you must do while in Bora Bora is take a half day boat trip snorkelling with the stingrays and black-tip reef sharks. It was amazing. 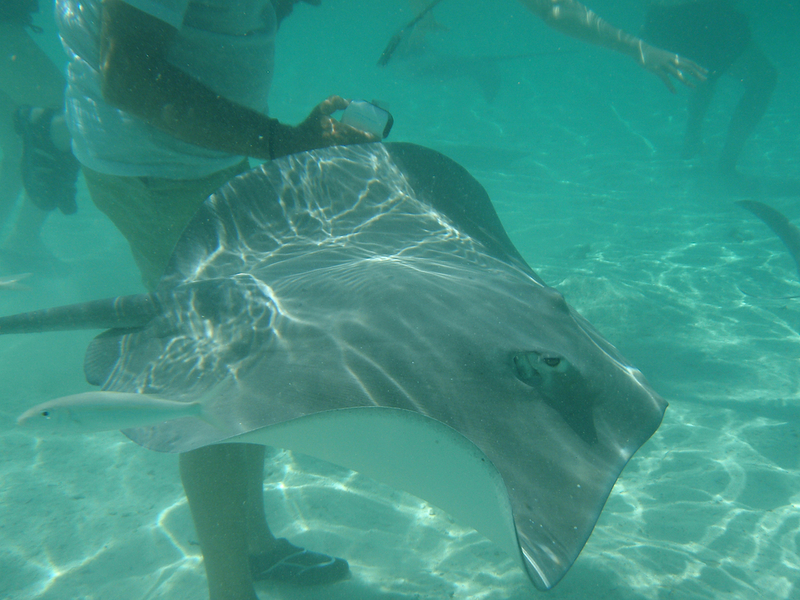 The tour guide began feeding the sharks and the rays and we took in the ensuing feeding frenzy through our masks as we swam right next to them.The stingrays were so friendly and the sharks swam by us without a care in the world. They were more interested in their fish dinner. 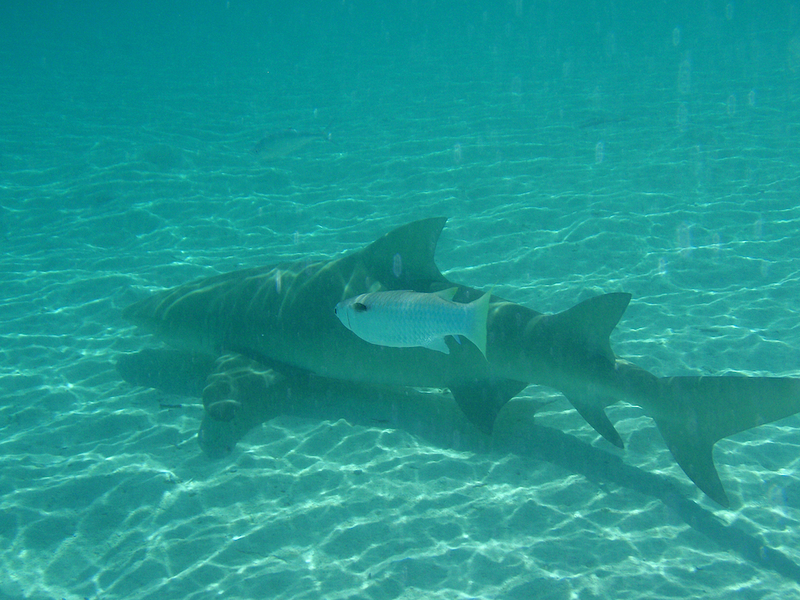 Snorkelling with the reef sharks! Our guides also took us to a coral garden with nearly seven hundred species of fish. 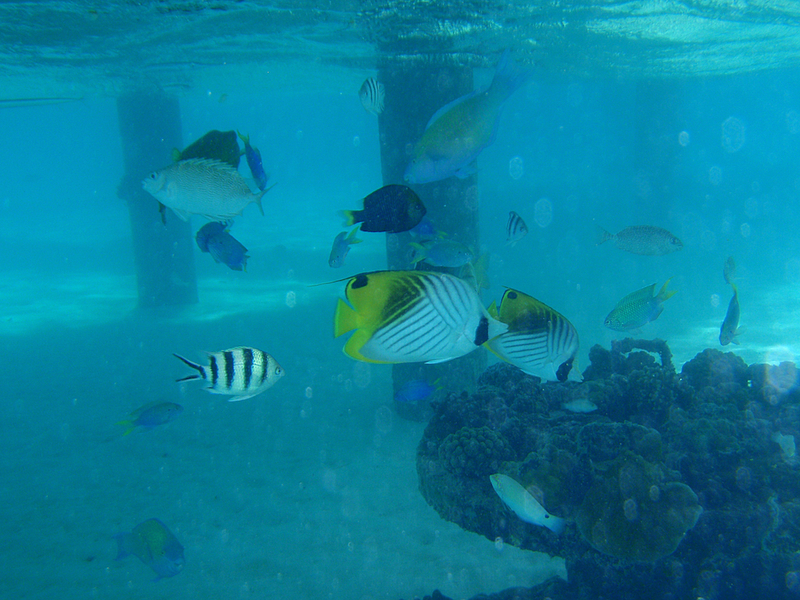 It was incredible, we literally swam through schools of tropical fish! Snorkelling in the coral garden. Our tour was combined with a visit to the Lagoonarium. It’s set on the same side of the island where they filmed the movie “Couple’s Retreat”. If you’ve seen that movie you will know just how spectacular the view from there is! The Lagoonarium is a natural aquarium. The sea life is kept captive inside the lagoon and you can snorkel with them under the supervision of the wildlife guides. 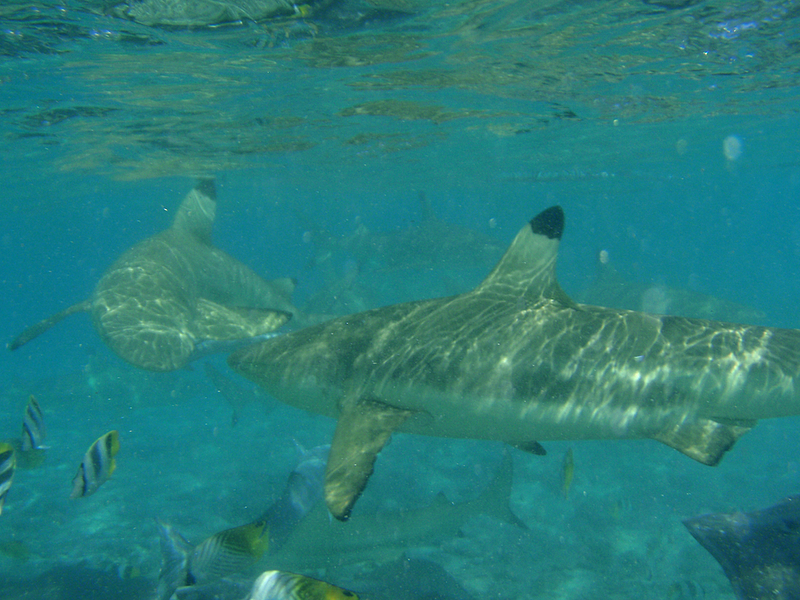 We saw some more stingrays, an eagle ray, a huge lemon shark, many more reef sharks as well as some really big fish. 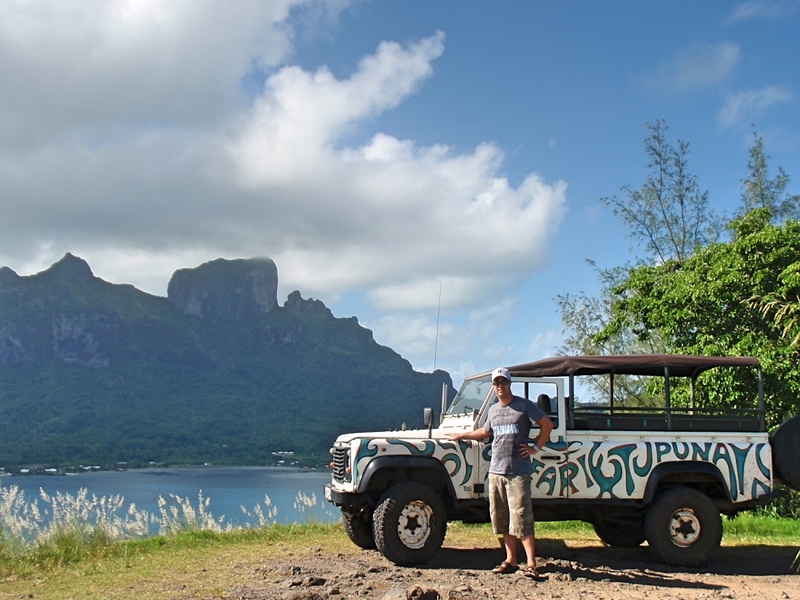 Another popular half day tour is a guided 4WD safari which drives you around the main island. 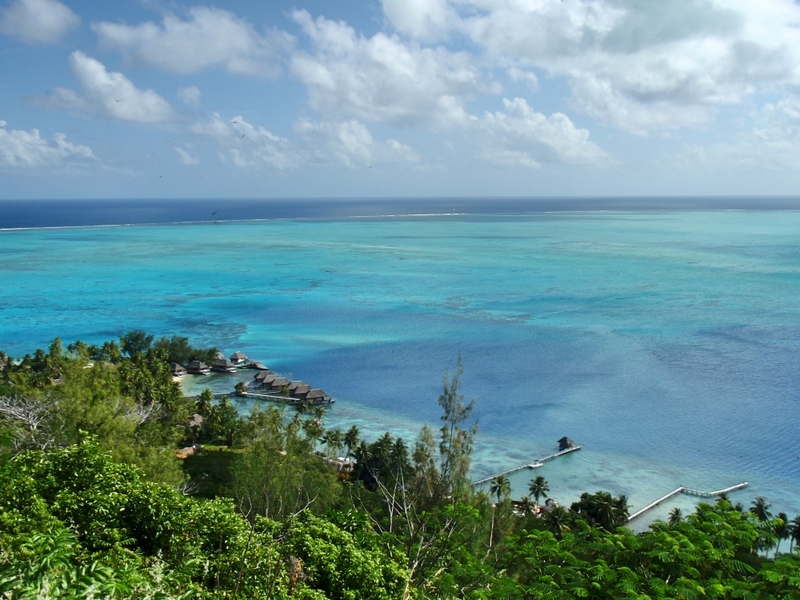 They take you to several lookouts with spectacular views over the island and its turquoise lagoon. View from one of the lookouts on the circle island safari. You will also stop at the Faanui Canon lookout to check out the old US military artefacts left behind after WWII. The drive up the top was fun although a little scary at times. You definitely need a 4WD! 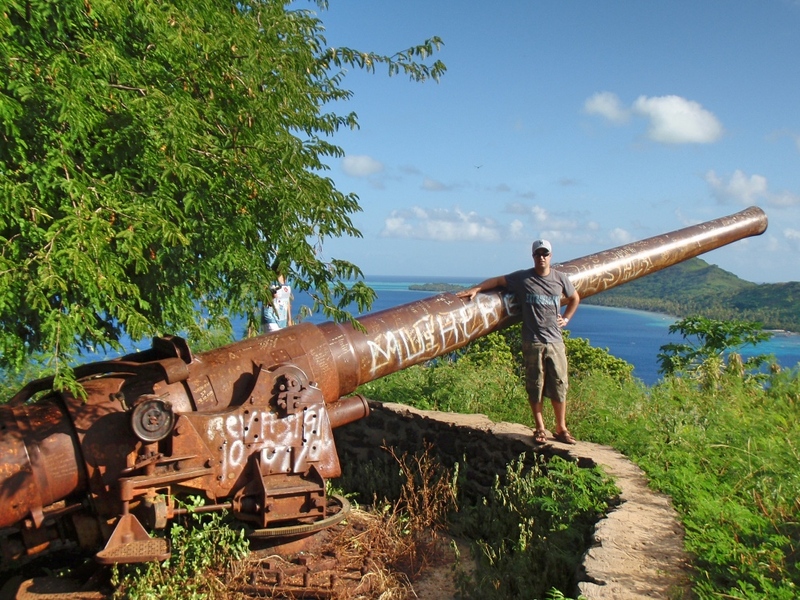 A WWII canon abandoned at Faanui Canon lookout. Great view from the other side of the island. If you’re exhausted after a day of swimming, touring the island, or lazying around on the deck, then head over to the Manea Spa. 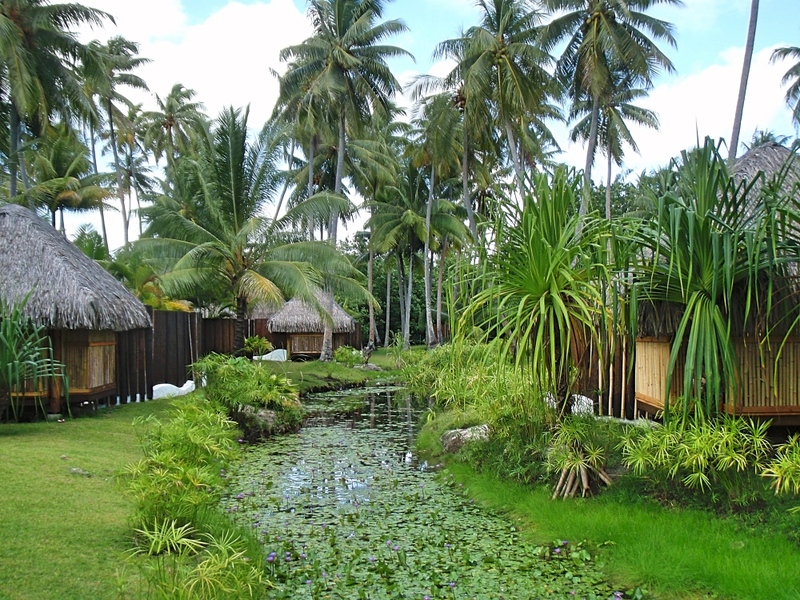 Surrounded by lily ponds and beautiful tropical gardens it is a great place to unwind. 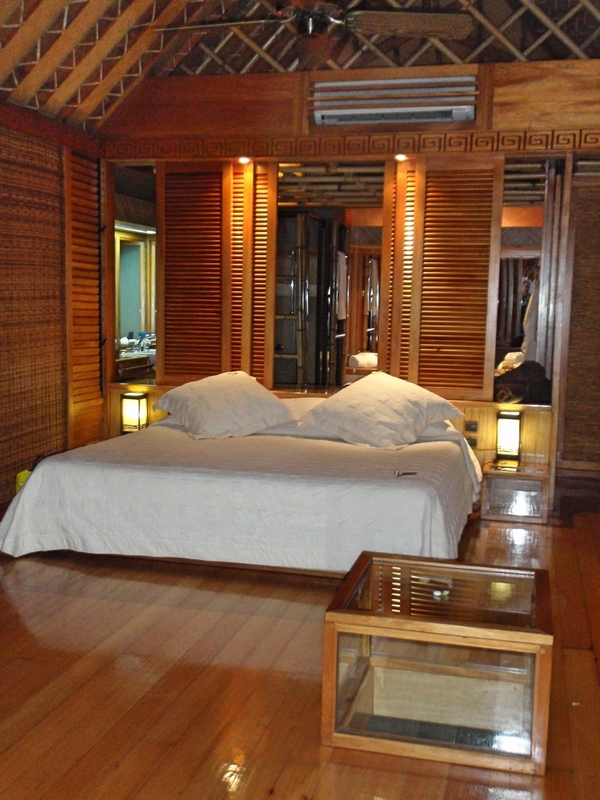 The Spa offers many authentic Polynesian treatments. Honeymooners can also get a couple’s massage. Whether you fancy a hot stone massage or some time in the steam room and sauna, the spa has it all. Lily pond next to the Manea SPA. 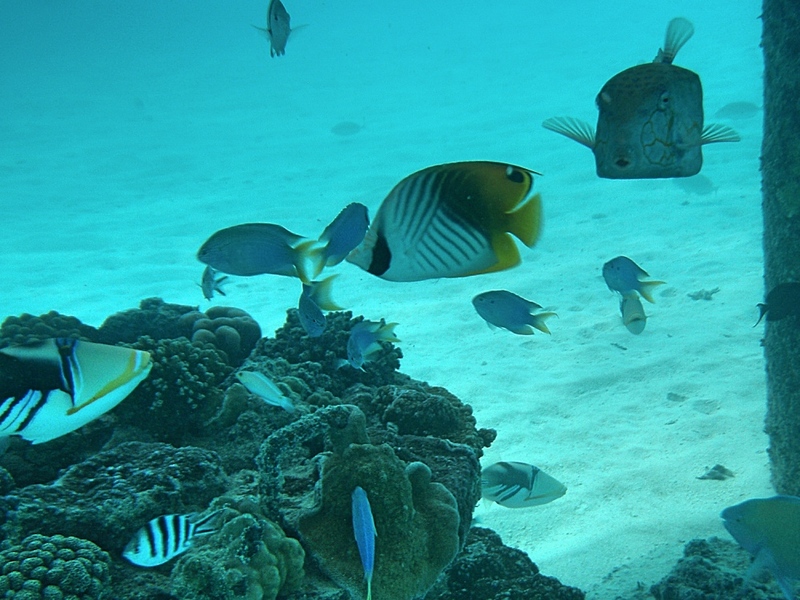 Just off the shore of the Pearl Beach resort is a protected coral garden. Snorkelling there was magical. There were so many different types of fish, in so many colours and sizes. It was truly stunning and we spent many hours there in the water. 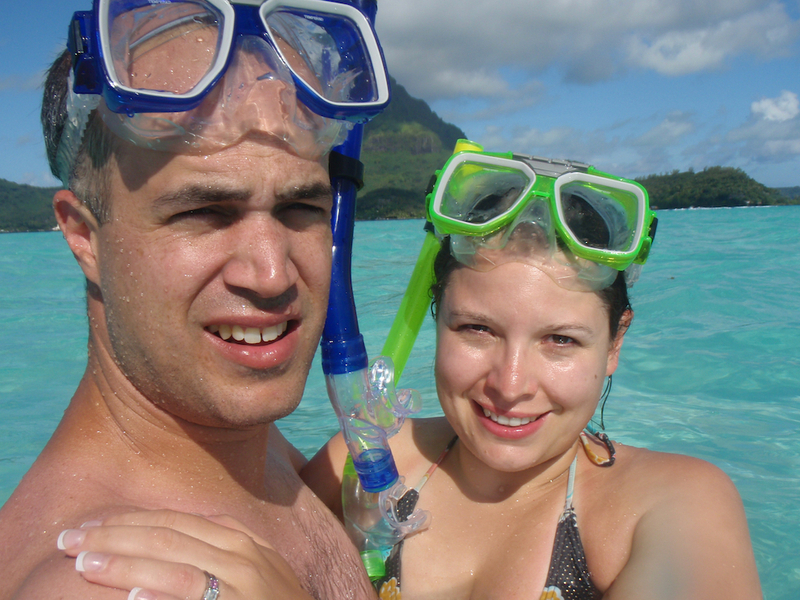 I’m pretty sure Bora Bora kickstarted our addiction to snorkelling! Great snorkelling just off the resort! 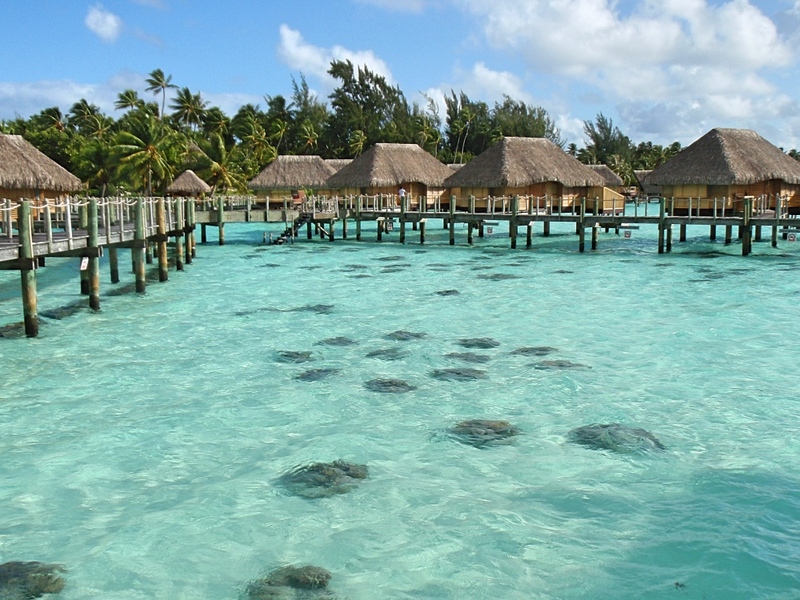 Yes, the beauty of Bora Bora comes with a hefty price tag but don’t despair! If you’re on a budget but really want to go, try and visit during the shoulder or low seasons (October to April). The weather will be more humid, windier and you may get some rain, but the accommodation will be a lot cheaper. We went in April and had mostly sunny days with the occasional quick shower; so it wasn’t that bad! If you are going there on your honeymoon be sure to mention it at the time of booking; you may get a descent discount as honeymooners. The Bora Bora Pearl Beach Resort gave us a 20% discount and a half board package, with a free bottle of champagne on arrival. It’s always nice to get freebies on your honeymoon! If only we could have stayed forever! 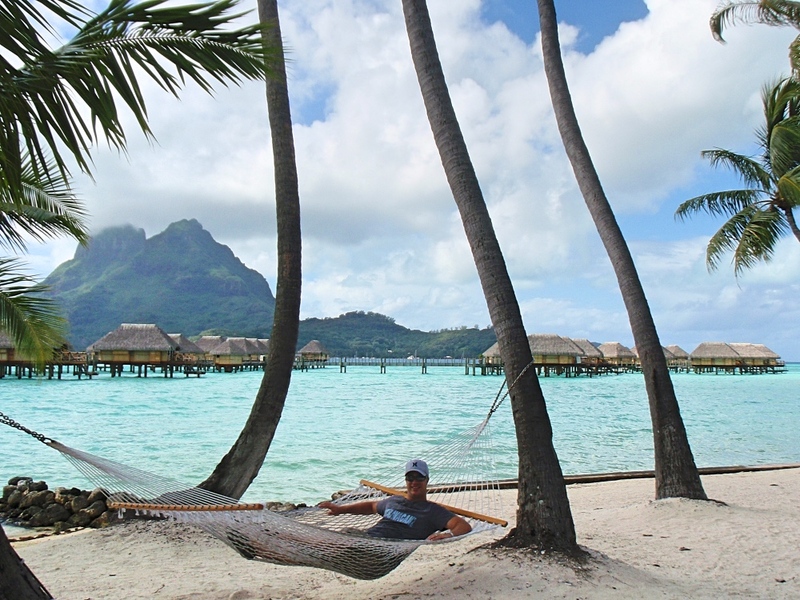 We had the most incredible honeymoon at the Bora Bora Pearl Beach Resort. It definitely remains one of our favourite places in the world so far. Not many places on earth can equal its beauty. We’ve been married for eight years now (yes this blog should have been written years ago!) 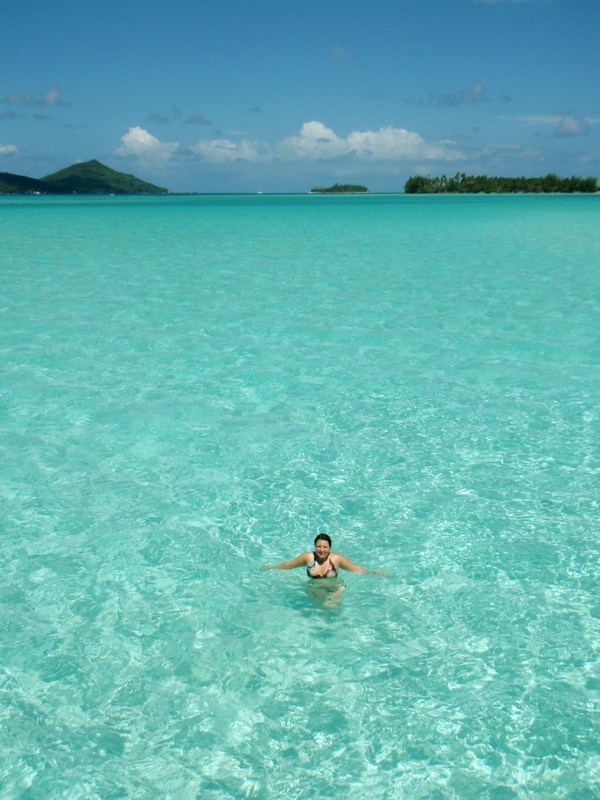 but we still look back fondly to our time in Bora Bora. 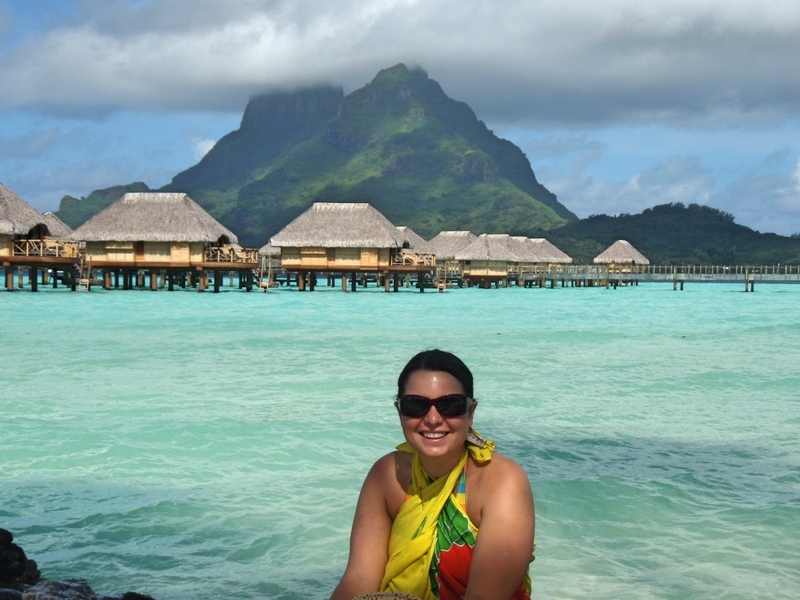 It’s only two years until our ten year anniversary so perhaps we should head back to Bora Bora to celebrate it. Whatever the cost it’s worth every penny! Wow you have ignited a serious case of Wanderlust! 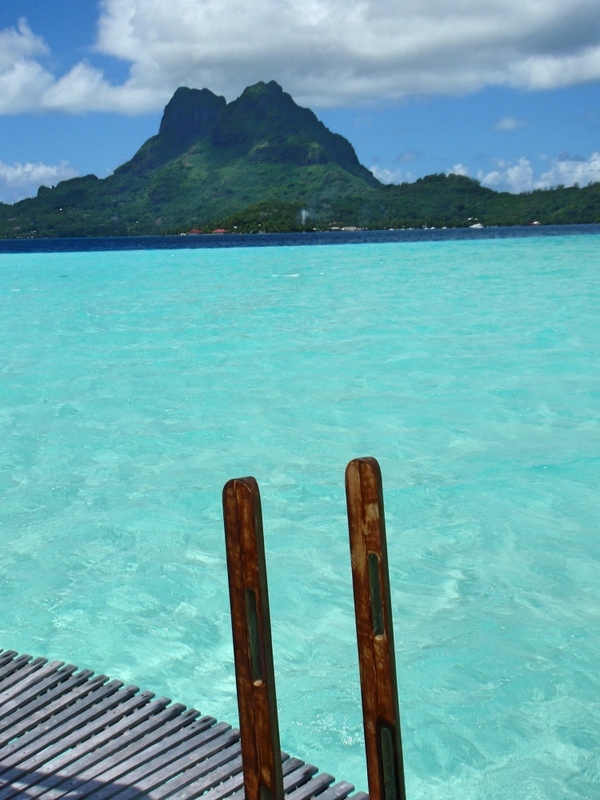 Bora Bora has always been on the list, but I think your post just moved it higher. 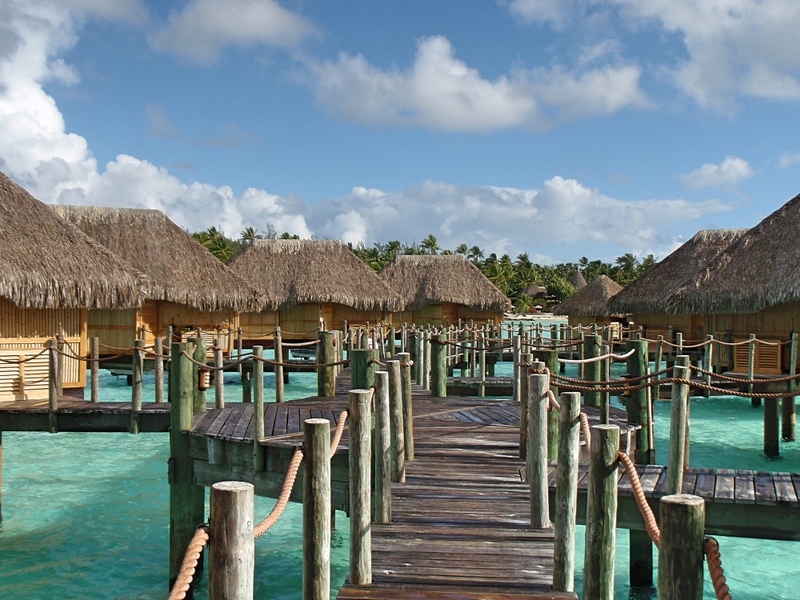 We love to scuba dive and paddle board and I’ve always wanted to stay and in an overwater bungalow! Really appreciate the tips on how to make it more cost-effective, that’s the kind of advice we need! 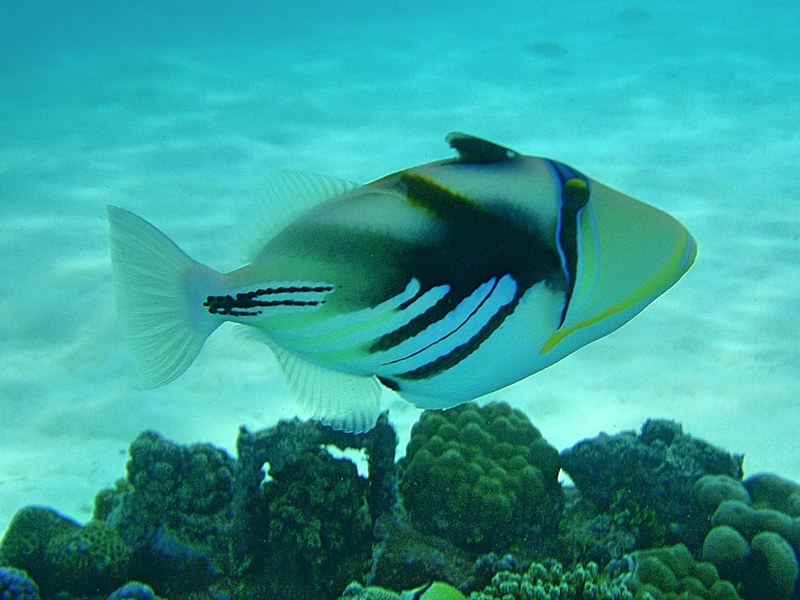 If you love scuba diving you will really love French Polynesia, the sea life is just amazing there! A very super place for Honeymoon.